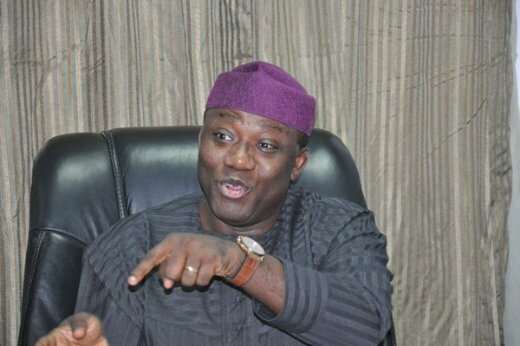 Dr. John Kayode Fayemi, winner of the governorship primary of the All Progressives Congress in Ekiti state has apologised to the people for all the errors of omission or commission he made during his first term as governor, between 2010 and 2014. He made the plea in his speech after being declared winner of the hotly contested primary election, which featured 33 contestants, with one of them withdrawing on Thursday. Fayemi got 941 delegate votes, out of the 2,313 valid votes cast. His nearest competitor was also a former governor, Segun Oni, who got 481 votes. Governor Tanko Al-Makura, who chaired the election committee announced the result after 11pm today in Ado-Ekiti and thanked all the delegates and contestants for their show of maturity, patience and perseverance. He reserved special praise for the security agents, who were able to maintain peace, unlike last week’s show that ended riotously. He congratulated Dr Fayemi for winning the party’s primary election and charged him to work together with the other aspirants to enable him achieve his desired goals and objectives in the forthcoming July,14, gubernatorial election. 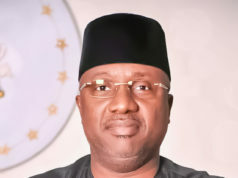 Fayemi, who was followed to the podium by all the other aspirants, said he was delighted to emerge as the winner of the party’s primary election. The APC flag bearer said his victory was not his alone, but belonged to all the contestants. ” I am delighted to have won the party’s primary election, and am also happy because the delegates voted for me. It shows they believe so much in my abilities to change the lives of the Ekiti people for the better compared to what they are currently experiencing. ” All other aspirants ‎are my friends and colleagues, am going to work with them to ensure that our great party emerges as the winner in the forthcoming gubernatorial election,” he said. This is the day the Lord has made, and we rejoice and are glad in it.Today, the people have spoken and their voice has been heard resoundingly. · What we have witnessed today, is one of the essential elements in the electoral cycle in any democracy – the exercise of the collective will over the aspirations of many – the emergence of the candidate of our great party, the All Progressives Congress (APC) in the July 14, 2018 gubernatorial election in Ekiti state, out of many eminently qualified aspirants. · Indeed, it has been a hard fought contest, and I am extremely humbled that our delegates have counted me worthy of the honour of bearing the banner of our great party. This victory is not mine alone, it belongs to all Ekiti people who desire a greater tomorrow. · The free, fair and transparent process we have witnessed today is a testament to our great party’s democratic credentials that guarantees a level playing field for everyone aspiring to high office. This is a feat we must all be proud of. · But the battle has only just begun – the contest to Reclaim Our Land and Restore Our Values. The fight to ensure our great party comes out victorious in the July 14, 2018 general election. · Your Excellences, Distinguished Party Leaders, Honourable Delegates, Members of the press, Observers, Distinguished ladies and gentlemen. Without a doubt, Ekiti is in critical need of rescue. It is imperative that we urgently commence the task of purging ourselves of the bad reputation we have earned in recent years and restore good governance to the state. · In my valedictory address in 2014, I said that future administrations would be judged by the standards we set during our time in office. It should be clear to any observer that over the past four years, Ekiti has retreated from the progressive values that we espoused in office and our grand ideals of human development. · We have seen a cynical approach to politics that exploits the penury of the poor and the vulnerability of the marginalised. We have seen the entrenchment of the disdain for elders, traditional institutions, and all forms of constituted authorities. · Instead of continuing the quest for freedom from ignorance, disease and want, what we have seen is a paradigm that deepens captivity to these ills. In short, the last four years has called into question all that we stand for as a people. The timeless values of honour, dignity, nobility and civility encapsulated in the Omoluabi ethos have been eroded. · We must resume the march to break the yoke of ignorance that keeps our people down; liberate them from ill-health and other limitations that restrain them from achieving their potentials; and break the stranglehold of poverty which keeps people from living full creative lives. 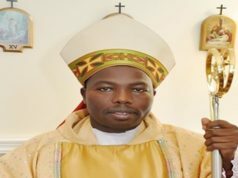 · In practical and policy terms, what this means is that the APC administration to be sworn in on October 15, 2018, by the grace of God, must resume good governance that was cut short four years ago, and once again prioritise social investments in education, healthcare and other social protection programmes that reduce the cost of living, while raising the quality of life. · In all electoral contests, tempers often rise and nerves are frayed. I therefore humbly appeal to all my supporters, and to my co-contestants and their supporters, to let go of past differences as we forge ahead to a new dawn. · I furthermore very respectfully request the support of my brothers and sisters – co-contestants in this primary election. I plead that we put our differences aside and work together as one strong and indivisible party for success in the upcoming general election. · I would be counting on all my co-contestants to share their wealth of experience, ideas and knowledge in furtherance of our collective desire to make Ekiti great again. · As I have said ever so often, all those who contested the primary election today are eminently qualified to be Governor. I salute your courage and congratulate you all for enriching the process. However, together we are greater and stronger than the sum of our individual parts, and no individual, myself inclusive, is bigger than our great party. · As I conclude, I must seize this opportunity to express my gratitude to members of the National Working Committee of our great party, and all those that have contributed to the free, fair and transparent conduct of this exercise. · I also thank our party’s national leaders, especially those from the southwest that have worked behind the scenes to ensure this process is as free of rancour and strife as possible. We count on them following through with their promise to reunite and strengthen the cohesion of all stakeholders in our great party in Ekiti state in the coming days. · Distinguished ladies and gentlemen, I thank you, once again. Alale Ekiti a gbe a o.